the kind of dance that’s needed with urgency. don't read this. go dance it out. On the small chance that you didn't take my advice and you actually did open this blog post, Hello. I'll keep it brief because the main message today is to really get in your body and move - not just talk about it. A slight epiphany occurred yesterday when I realized I had fallen into the mode of talking about dance a lot and facilitating a lot of dance for others, but it had been a loooooong time since I just simply danced it out for myself. The art of “dancing it out” is a practice, just like meditating or writing morning pages. You need to experience it on the regular to get the most benefit from it. I went live on Facebook with an impromptu dance break, and I welcome you to join and watch here if you need some motivation to get moving. Go dance and I’ll see you next week! I’ve been planning to start my Thriving Artist’s Program in February with a goal of having 10 people join. You might have seen my emails last week that invited you to apply. Despite doing everything “right” - i.e. writing and sending passion-filled emails, making calls, posting on social media, consulting with my coach, etc, - I had not one person sign up for the program. And honestly, I’m not totally surprised by this outcome. I thought it would be valuable to share with you why the launch “failed,” since I have a feeling it might help you with whatever you might create or contemplate creating this year. My head wanted it more than my heart. I was fearful that if I didn’t do it, I wouldn’t know what else to do in its place, or that I wouldn’t have another way of bringing in income. Meanwhile, the process felt a bit rushed to me, and when I didn’t get the response I expected, it confirmed that something was out of alignment. It’s best to take action when you feel in full alignment with the timing and the cause. Your efforts will be so much more successful if you are 100% committed and in it. And, despite knowing all that, sometimes you gotta mess up anyway. It’s ok if something “fails” because there’s always something new to learn and a new direction you can take. I’ve decided to put the Thriving Artist’s Program on hold for now. In the meantime, I’m creating shorter, more bite-sized experiences that will allow me to continue to be of service, and also give me spaciousness in the process of reinventing myself and what I’m creating. If you can relate or are just digging all this honesty, let’s keep the conversation going! I’m sensing many of you are also in a place of questioning aspects of your lives. This online event is about saying YES to that part of yourself that craves a paradigm shift, that knows there’s something else out there for you, even if you’re scared or uncertain about the future. I don’t know the exact answers, but I do know that we can create possibilities together. I’ll guide you through some dancing, inner reflection, and a body-based process for accessing your truth. It’s hosted via video, so you can join from wherever. It’s recorded in case you can’t make it live. It gives you an opportunity to dance, do some soul searching, and receive guidance, clarity, and support. I’m really excited to connect with you in new ways this year and I hope you’ll join me for this! When all else fails, dance it out. p.s. 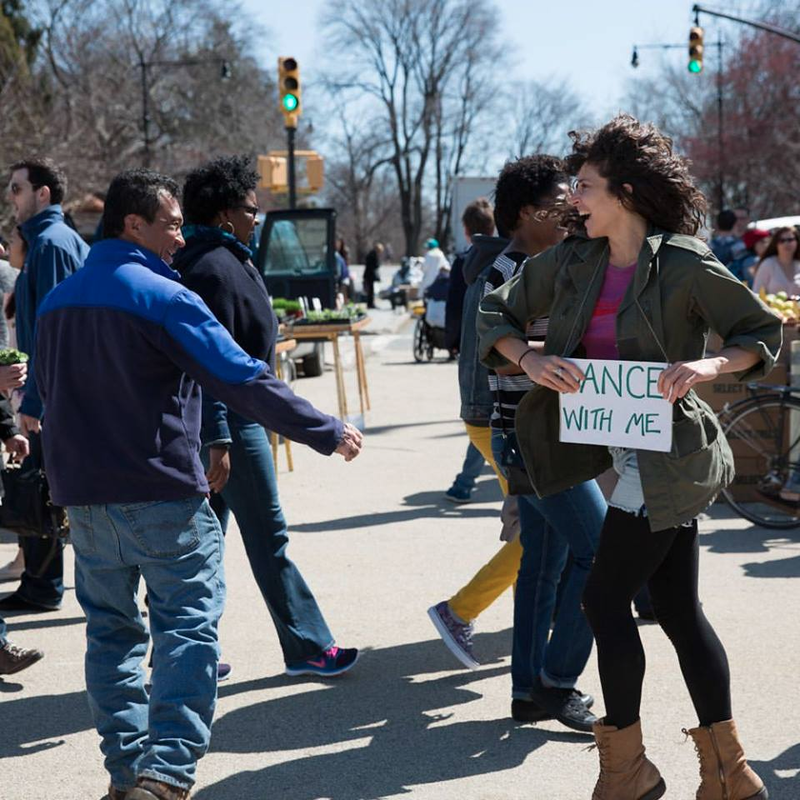 for all you NYC locals, I also just started up a dance group on Meetup.com! Click here to join the dance meetup and stay updated on the dance-related events I’ll be hosting this year.